The Sheriff’s Office Merit Commission was established in 1970, and is made up of three citizens, who serve six year staggered terms on the Commission. They are appointed by the Sheriff but must be approved by a majority of the County Board. The Commission is responsible for overseeing the testing and certification of all positions within the Sheriff’s Office. The Sheriff may not hire full time Deputy Sheriff’s or promote appropriate individuals unless they are certified as eligible by the Merit Commission. The Merit Commission is one of the options regarding disciplinary appeals within the Sheriffs Office. The Merit Commission is vital in maintaining the integrity and professionalism of the Sheriff’s Office. We sincerely appreciate the service of the Merit Commissioners. The Merit Commission met approximately 14 times in 2016, these meetings included quarterly meetings, disciplinary hearings, and recruit testing. 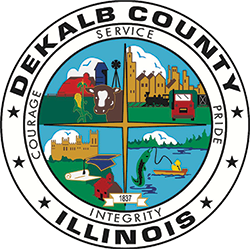 Agendas and Minutes of the hearings are reported on the DeKalb County Meetings & Agendas Page.